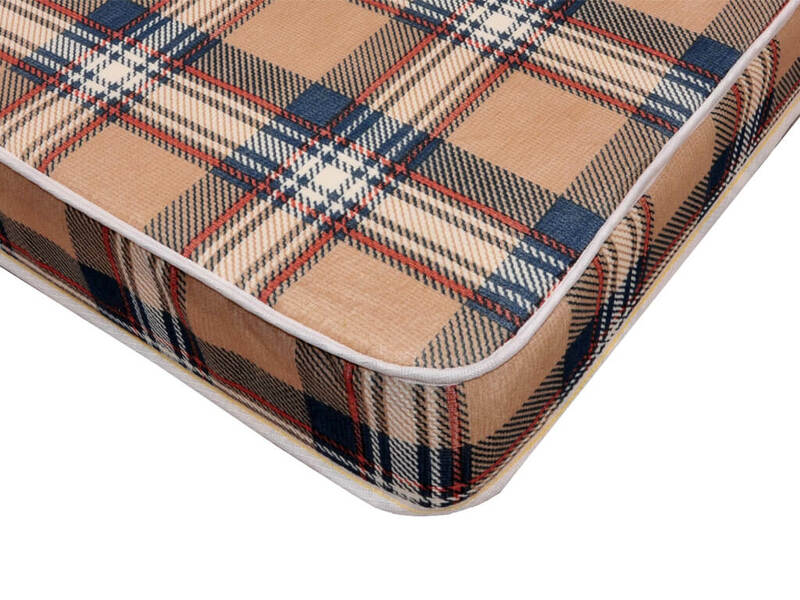 Our 4” foam queen mattress (010Q) with plaid tailoring is able to fill many roles in the bedroom. 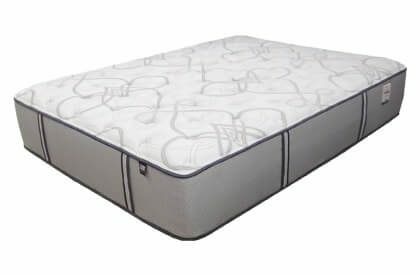 Ideal usage is for very young small children, bunk beds, or even a spare bedroom. 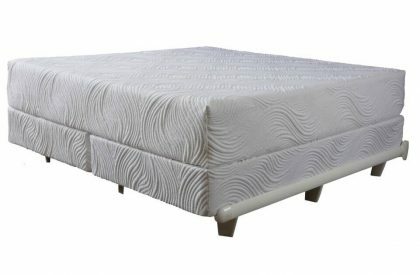 This is our least expensive mattress so obviously not going to be our best quality product, but it services a temporary short term usage situation or fills the space in that spare bedroom to give it a finished look. 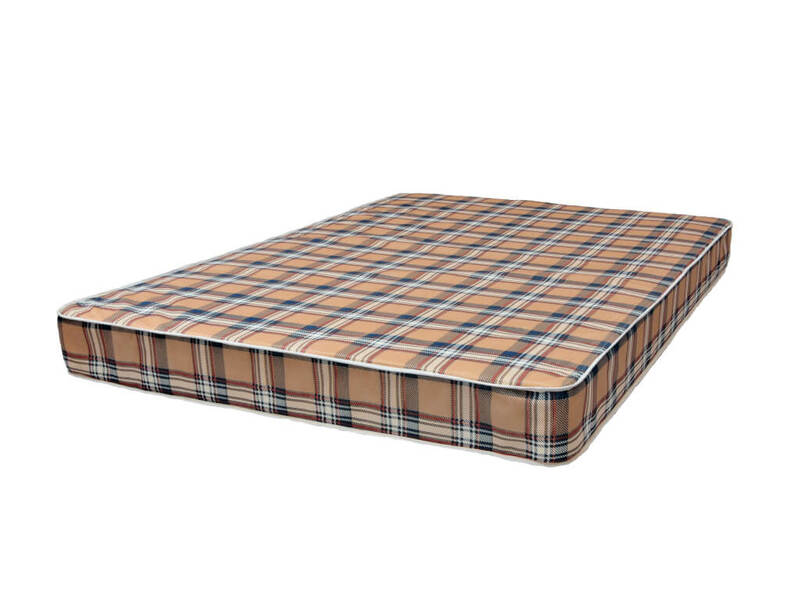 The 1-piece 4″ foam plaid mattress can be slept on by smaller adults for those occasional overnight guests. Click the Radio Button Below for Optional Foundation.